We had a good visit at Village on the Park - Onion Creek. The staff was good. The apartments were average. They had a library. We love our staff! Thank you for the kind words and we hope to see you again soon. I visited Village on the Park Onion Creek. They have individual cottages, and my mother-in-law has a dog. They're much more accommodating rather than having to go up and down the elevator five times a day to take the dog outside. The grounds were pretty. The particular cottage we saw was very nice, spacious, and had granite counter tops and a cute little patio. It's just like having a little house rather than living in an apartment. We thought the price was too expensive for what we're looking for. The services were the same as other places, like the transportation and activities are similar, but get more space and a patio. It's a beautiful community. We were looking forward to moving into Village on the Park in Onion Creek, but the apartment that we wanted is unavailable, and we would have to pick a smaller one. The cottages are across the driveway from the main building and have a one-car garage and one-car carport each. They're very nice. The people seemed very happy, and the staff was friendly. I liked everything about the place. There wasn't much to the grounds, but the location was absolutely perfect for us. Terrible food. Was not bad when parents moved in but has gone down considerably. Really bad. One would think that it wouldn't cost any more to cook food well than badly. Village on the Park looked like a great community. They take care of you physically, provide three meals a day, and have different kinds of recreation. The dining area was very nice, and the food that we have was delicious. They have a lot of different things, but they must have more options for the meals. 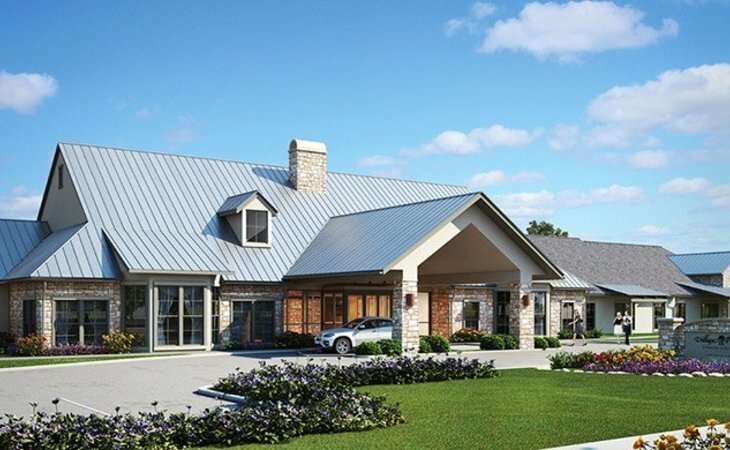 The Village on the Park at Onion Creek offers beautiful apartment homes and cottages with comprehensive services and amenities all in close proximity to the best that Austin has to offer. But what makes us special is our community. More than a collection of buildings, it’s the sense of caring you feel when you arrive. We’re here to help you enjoy life on your terms and to exceed your greatest expectations. Welcome. What should caregivers and potential residents know about Village on the Park - Onion Creek?